PinkNoise Studio has been developing Reason refills since 2001. This library is the essence of 14 years of experience. ESSENCE is 100% compatible with both Reason Essential* and Reason. Our aim was to create a general purpose library that is useful for anyone, whether they are beginners or professional musicians. 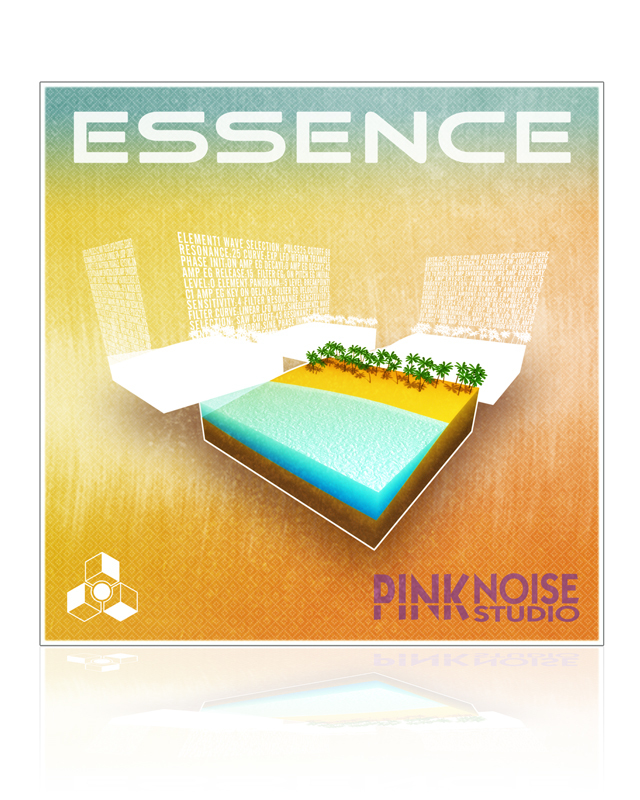 Essence contains 1.6 GB original new samples, plus a 800 MB selection of the best samples of our previous refills, providing a wide range of instruments and synthesizers. * ESSENCE requires Reason Essential 2 or more recent version. 27 NN-XT patches and 1 demosong.